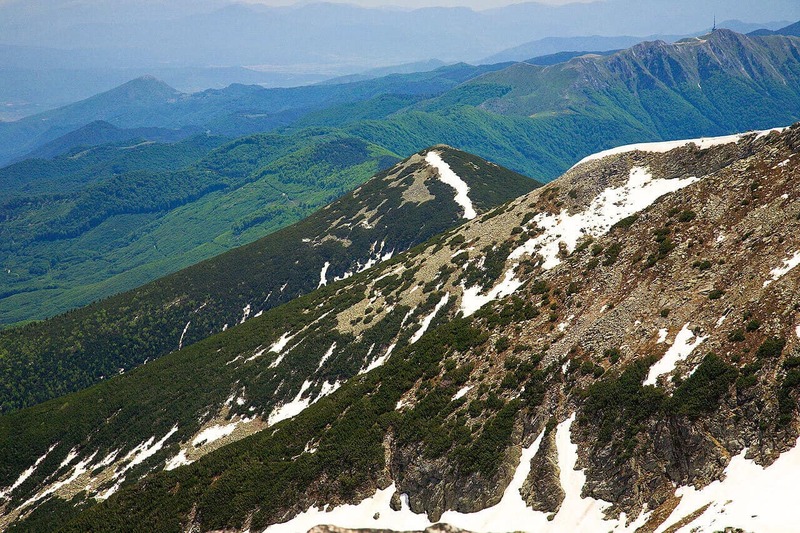 During the trek, we will visit the highest peak on the Balkans in Rila mountains (Musula, 2925m) and the giant of Pirin Mountains (Vihren, 2914m). We will explore enormous national parks, housing vast alpine meadows, stone rivers, glacial lakes, rare vegetation and abundant animal life. The biggest Bulgarian monastery (Rila Monastery) and probably the most famous Bulgarian landmark will also be visited as a part of the trip. 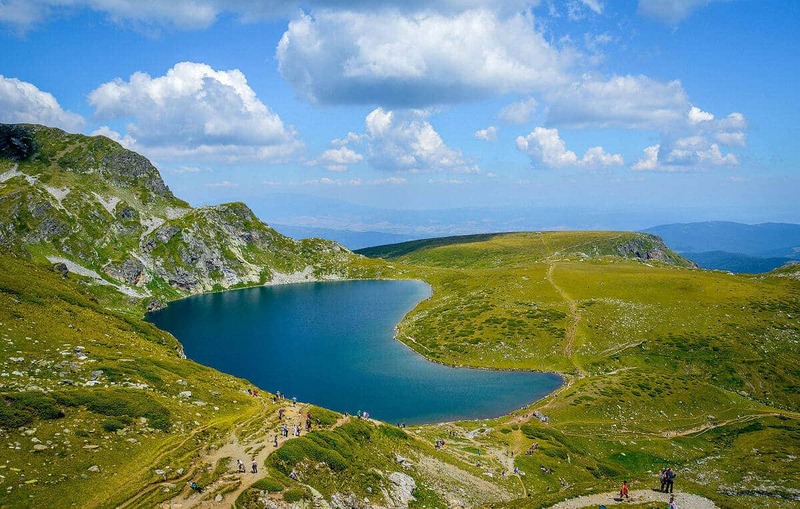 This trek takes place in the two mountain chains which contain the Balkan Peninsula’s highest peaks housing vast national parks, rare vegetation and rich animal life. The trip is structured to take the participants to remote regions with beautiful and unspoiled natural landscapes. 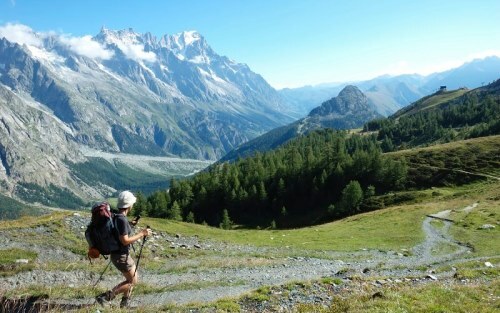 If you do not have the time for extensive trekking in the world’s biggest mountain ranges, this tour is strongly recommended. Here you can enjoy the physical challenge of alpine landscapes above the tree border, as well as the cultural treasures of Bulgaria and the warm hospitality of the local people. Transfer to Borovets (70 km). We take the cable car to Yastrebetz (2300 m) and we climb the highest peak on the Balkans – Musala (2925 m a.s.l.). 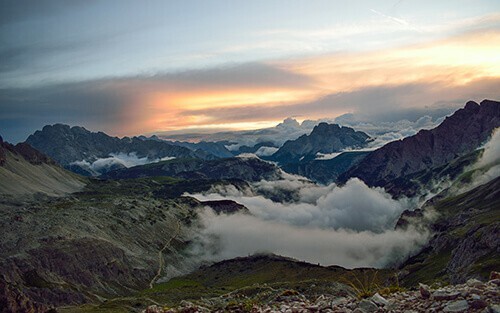 The view from the top is truly breath-taking – you can make out the remaining peaks of Rila Mountains; the marble edges of the Pirin Mountains; Mount Vitosha and the Sredna Gora Mountains; the green summits of the Rodopi Mountains; and last, but not least, the long body of the Balkan range. Transfer to Govedartsi (1150 m a.s.l. ), where we stay overnight (40 min. drive from Borovets). 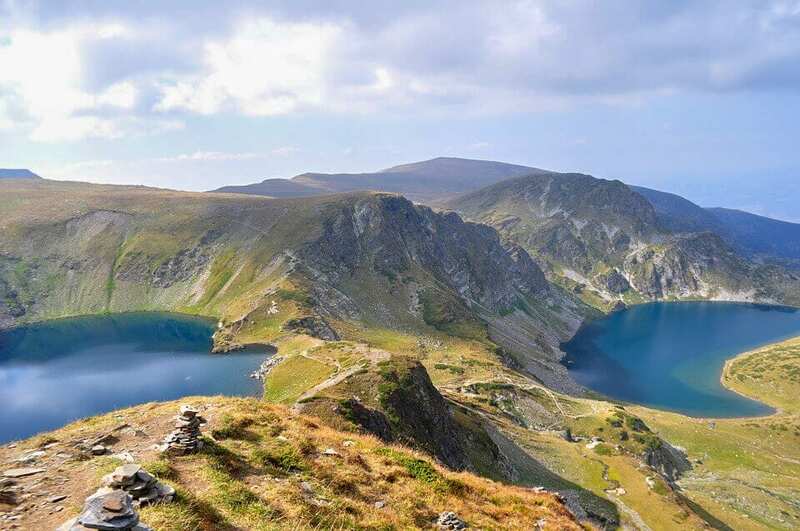 Another stunning trek from Maliovitsa resort, going up along the valley to the wide circus of Prekorechki Lakes, enclosed by the steep slopes and rocky walls of several peaks exceeding 2700m. Early transfer to Pionerska hut, from where we take the chairlift to the Seven Rila Lakes (above 2200m a.s.l.). Loop hike to Razdela, Zeleni Rid. We continue to Rila Monastery – the most famous landmark of Bulgaria. Drive to Bansko for overnight. This 2-days trek takes us to the most beautiful part of Central Pirin. We start from Bezbog hut and after 4-5 hours walking, we will reach Tevno Ezero hut where we overnight. This day walking offers stunning views over Pirin Glacier Lakes – Valyavishki, Dulgoto (The Long) Lake, Ribno (The Fish) Lake. The trek takes 5-6 hours before we reach the road under Demyanitsa Hut where we meet our vehicle to drive us back to Bansko. A fairly difficult ascent to the highest peak in Pirin Mountains – Mount Vihren (2914m a.s.l. ), awaits us. On our way to the peak, we have various opportunities to enjoy most of the Pirin’s peaks, Vlahini and Bunderishki glacial lakes as well as Edelweiss and many other rare plants flowering in the Karst parts of the mountains. Transfer to Sofia airport for departure usually around 8am (2,30hrs drive). The best airport to fly in is Sofia. The airport transfers from Sofia Airport to Govedartsi and from Bansko to Sofia Airport are included.